Every month at HBH a dedicated team gets together to undertake a medication review. 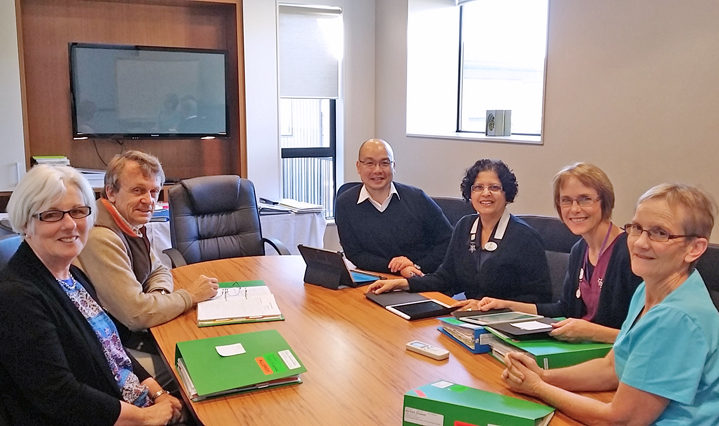 Director of Nursing, Chris Dunlop, leads the review and is accompanied by the General Practitioners, Pharmacist and Registered Nurse from HBH, along with a Geriatrician from Middlemore Hospital. The review process was introduced by a Middlemore Geriatrician and has been running for more than ten years. Six to eight residents have their medication reviewed each month along with any residents requiring urgent attention.